Their costume is better than yours. While the mounds of free candy and the inevitable chocolate-induced coma are necessities of any good Halloween, you may (like me) want even more goodies to enjoy. These sweet options might not be the healthiest, but they are creative alternatives to Twix bars and Skittles. Basically a grown-up version of pigs in a blanket, these spooky treats are a great savory Halloween snack. 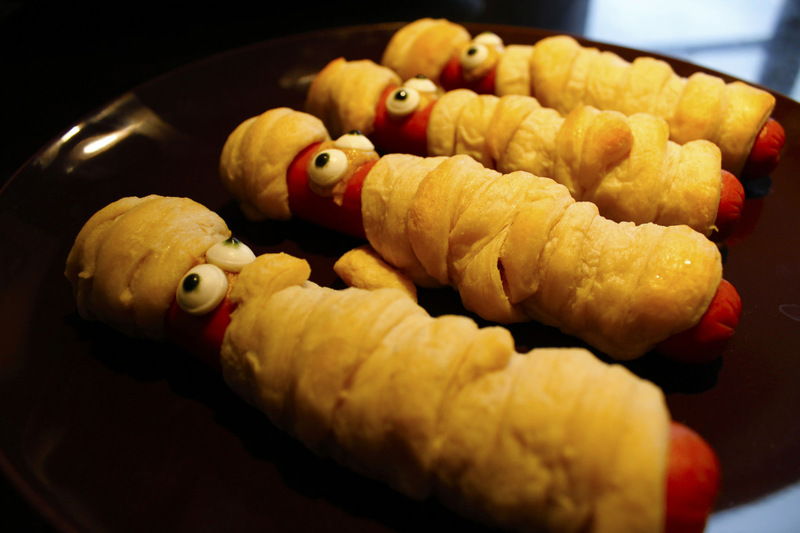 Simply wrap your favorite crescent roll around hot dogs, pop ’em in the oven and make some eyes with ketchup or attach candy eyes. While they may not be able to run away, these guys will disappear fast! 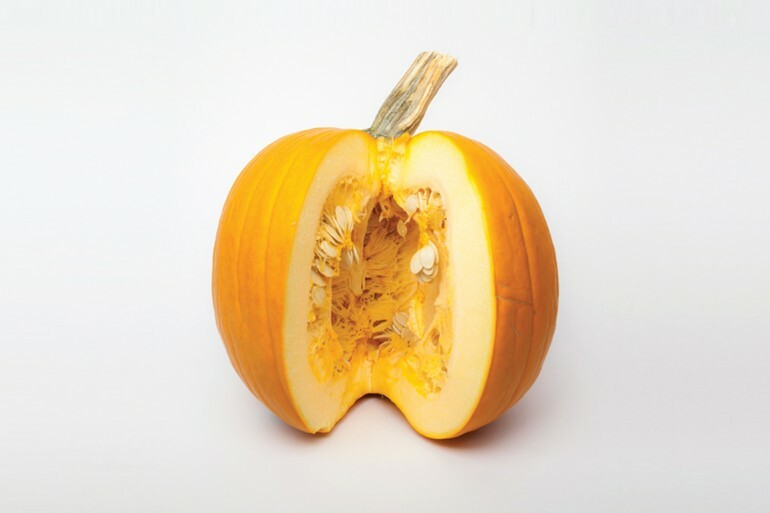 Don’t have the time or supplies to carve a pumpkin? 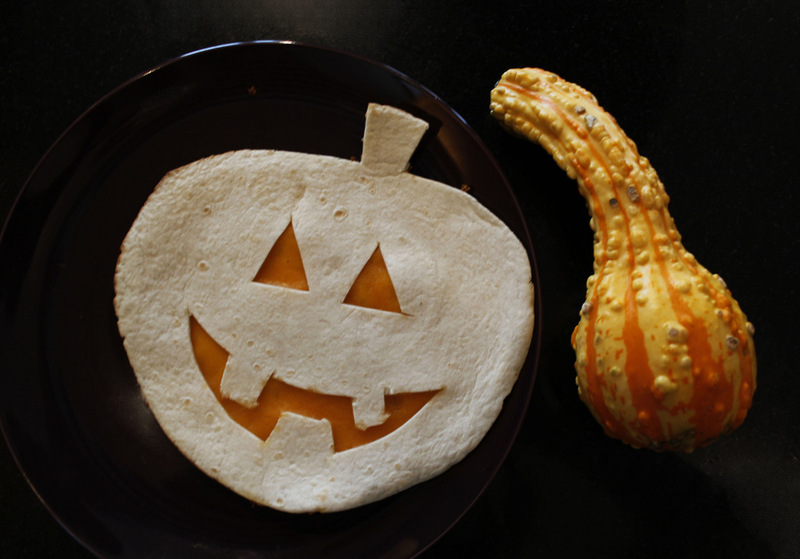 Make a Halloween-themed quesadilla instead! Carve your favorite shape into a tortilla, then stack it on top of another one with your cheese of choice. Cook on the stove or under the broiler until the cheese is melty. Want a festive treat to snack on in between classes? 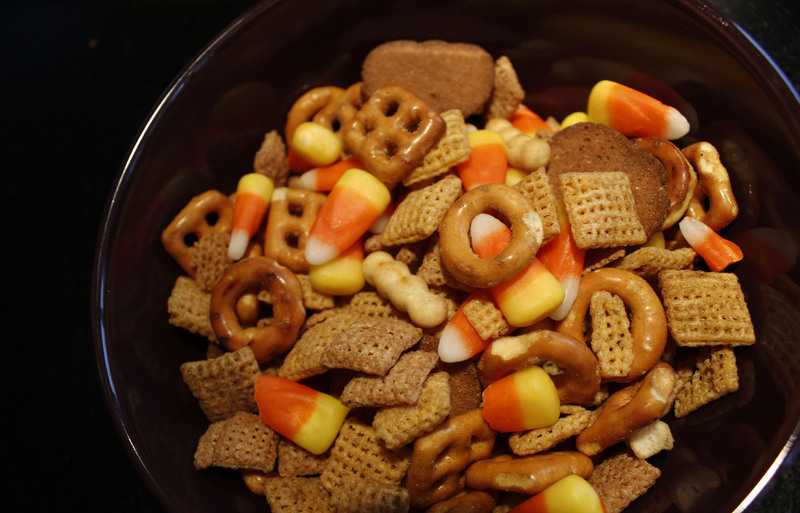 For the perfect blend of salty and sweet, simply dump a bag of candy corn into a bag of Chex Mix and shake. For some extra fun, use your leftover candy corn to make sweet shots. This simple recipe is the perfect go-to for a Halloween party dish. 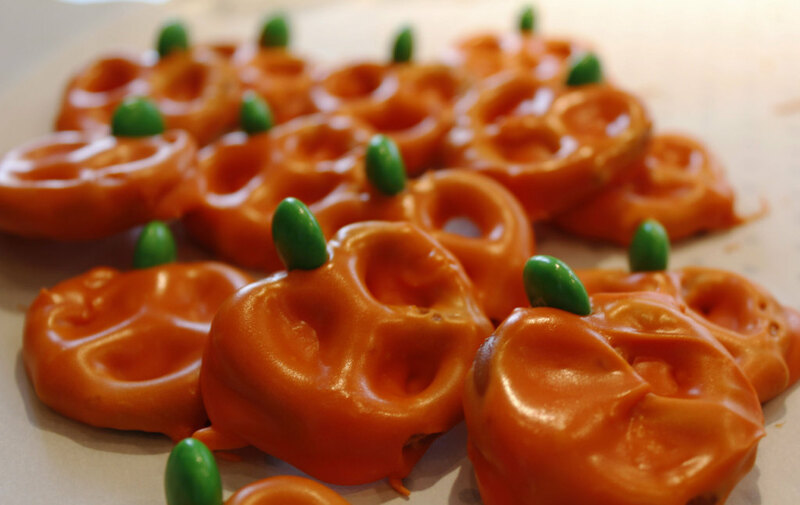 Simply melt white chocolate, add a bit of orange food dye and submerge the pretzels. Use green M&M’s or green white chocolate for the stem, then put them in the fridge on some parchment paper. If your roommates haven’t eaten them already, they’ll be ready to serve in about 20 minutes. Is there anything better than peanut butter and chocolate? Peanut butter, chocolate and pretzels. 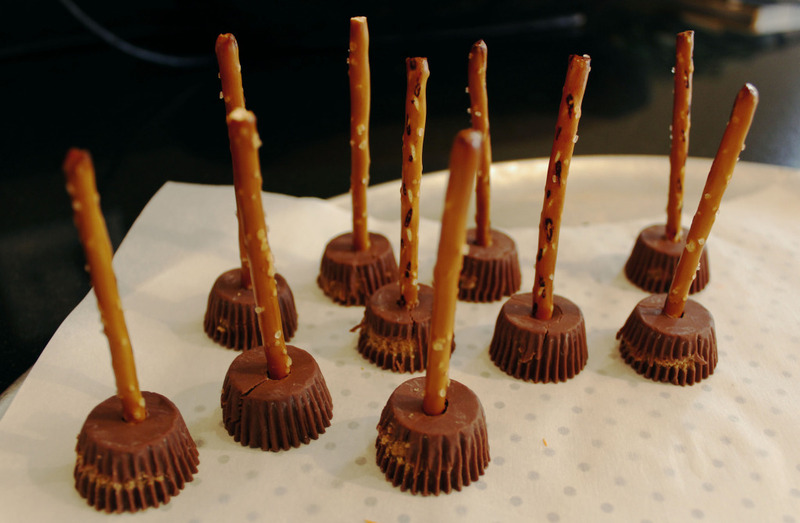 Simply place a pretzel stick into the middle of a peanut butter cup and try to restrain yourself from eating all of them in sight (or don’t!). If you’ve already worked your way through all the hot dog mummies and still can’t kick your taste for ancient Egyptian treats, this is the perfect recipe for you. 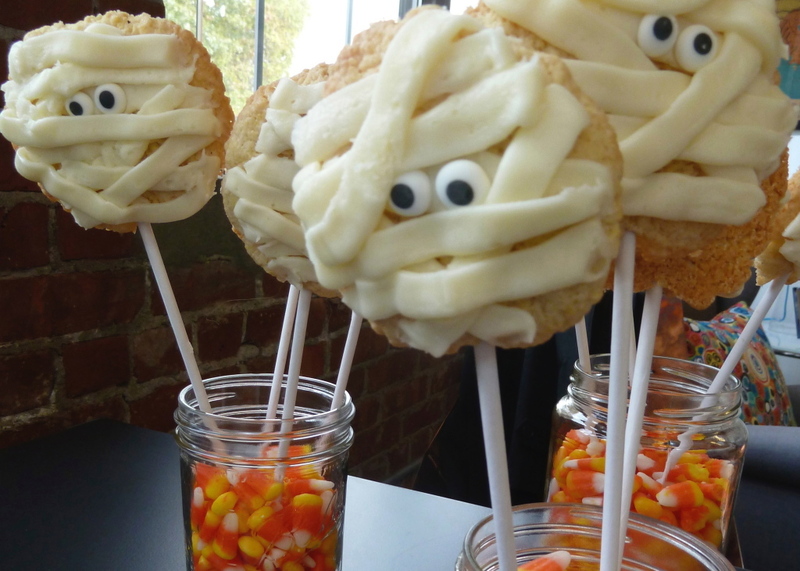 Simply bake or buy your favorite cookies, attach some candy eyes with frosting and apply mummy-like strips of white frosting by icing the cookies back and forth. Whether you or your friends are carving pumpkins to get into the Halloween spirit, don’t let those pumpkin seeds go to waste! Simply add brown sugar, chili powder or salt and pop in the oven for delicious roasted pumpkin seeds. Got friends coming over for Halloween but you just dropped your big dessert all over the floor? Or do you live in a dorm without a kitchen? 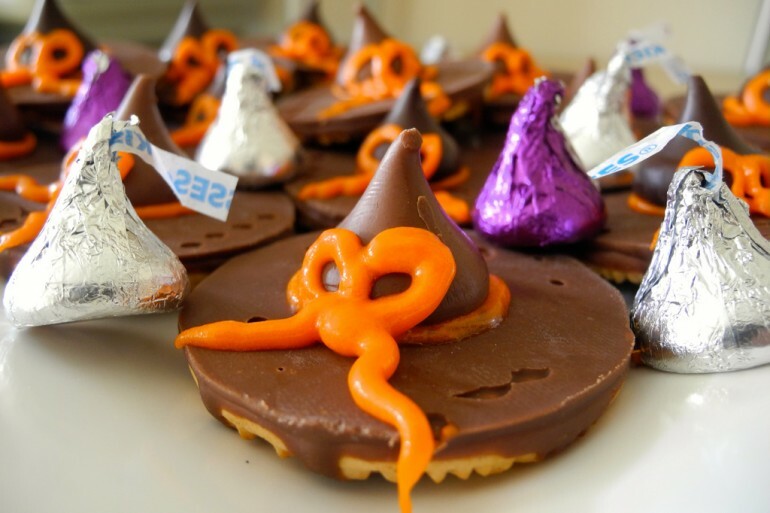 These easy, spooky treats come together in a matter of seconds and are guaranteed to taste great. Free food, need I say more?